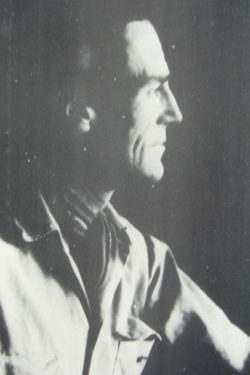 Neville Spearman First edition 1968. 314 pages and well illustrated with photographs and maps. Fine condition hardback book in a Fine condition dustjacket. An exceptionally good copy of this scarce book. 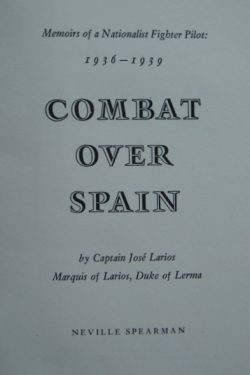 José Larios was a bomber and fighter pilot for Franco from the beginning to the end of the Spanish Civil War becoming an ace with more than six victories. He was involved in nearly every major battle, chalking up 278 missions and his very readable autobiography is full of tales of hair-raising air combat, lightened by grace and humour. 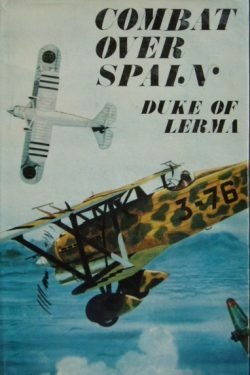 A great copy of an interesting flying memoir from the fascist/nationalist point of view of the Spanish Civil War.